Ep 11: "Special Garlic Soup and Fresh Salmon Sauteed in Butter of Chiba City, Chiba Prefecture"
Mihama Ward. One of the six ward of Chiba Prefecture. It consists entirely of reclaimed land from Tokyo Bay. 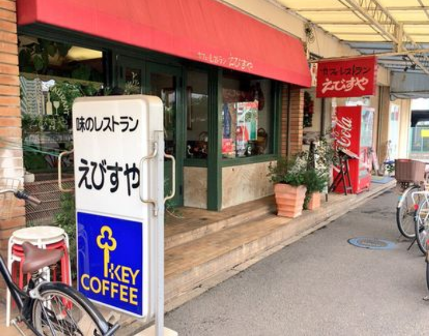 It's mainly a regional commercial center as well as a bedroom community for people working in central Chiba and Tokyo. 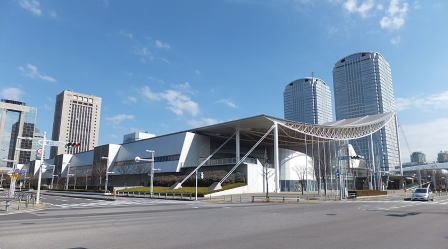 Places to visit are Toei Hero World Namco Action Museum, Makuhari Messe (pic above), and Inage Seaside Park. Yoshuku-ya [洋食屋]. Western-style cuisine restaurant. 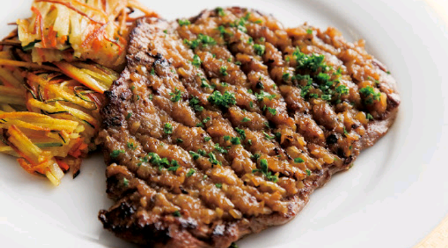 It commonly serves Salisbury steak, Omurice, Napolitan pasta, Beef Stew, Pilaf, Steak, etc. Shake [しゃけ]. Slang term for salmon. Also called sake [さけ]. Chaliapin Steak [シャリアピンステーキ]. This was included in the menu of the shop. It's a type of marinated steak (beef), made in 1936 by a Japanese chef from the Imperial Hotel, Tsutsui Fukuo in response to Russian opera singer Feodor Chaliapin. Since the singer had been plagued by denture problems at that time, he asked for a "soft steak", and so the Chaliapin Steak was made for him. The recipe calls for tenderizing and thinning the beef with a mallet, and marinating it with chopped onions (which is believed to tenderize the meat as well) for 30 mins to 3 hours. Pan-fry it with newly chopped onions, and traditionally present it with onions on top, with criss-cross scoring marks using a knife. Acqua Pazza. Another item found in the shop's menu. It's an Italian cuisine that means poached white fish. Koya Dofu [高野豆腐]. Goro likened the garlic toast to koya dofu or freeze dried tofu. The koya dofu is sold as freeze-dried, and is reconstituted at home, becoming soft and spongy once again by putting it in a boiling stock of your choice. Ebisu Gao [えびす顔]. Goro says the food at the shop gives its customers an Ebisu face or expression. It is said to be the smiling expression of Ebisu (the god of fishing and commerce), as seen in images made of him, with narrow eyes and a peaceful smile. Garigarikun. [ガリガリ君]. 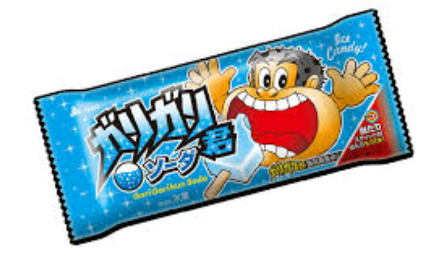 Goro plays with the word "garlic" as a pun, and since it's pronounced as "garikuu" in Japanese, he calls it "Garigari-Kun", the brand name of a Japanese popsicle (pic above). Qusumi talks about his fondness for the youthful and artistic city of Kichijoji (where the interview was held). He said that the alleys that he remembers have changed little by little. "The ground at the Nanaibashi-Dori (street) shops is now cemented, but it used to be dirt. (...) The landscape of the alleys have changed a lot. There were many times I miss the old things. Unchanging beauty is good." Q: What kind of relationship do you have with Kichijoji? A: I was born right next to it, in Mitaka City, and my parents still live there. Mitaka is not a bustling city. When I was a kid, Kichijoji was the closest place to go shopping with friends or to buy things. Shinjuku and Shibuya were too far away. For me it was like a playground. Currently, I'm working in Kichijoji. Many Japanese mangaka work here, too." Q: Is the name of the lone gourmand, Inogashira Goro, taken from Inokashira Park? A: The area that I lived in before was the Inokashira 5th [street?]. When I wrote the manga "Kodoku no Gurume", I lived at that exact address. So I called him "Inogashira Goro" (laughs) [Note: Go = 5]. It's not always good to think too much and worry about (coming up with materials). I try to find the materials easily by looking at those that are in close proximity to me. Q: Is it always this way? A: (So happens) I got the inspiration at that time. Whenever I talk about this, all the Japanese people would laugh. Maybe if I lived in Seoul, it would be "Seoul Goro" (laughs). Q: What is your method of pre-coverage such as in choosing a restaurant? A: Do not look up information in advance about the area or restaurant you are going to visit. I stayed in Saga City, Saga Prefecture, in the northwestern part of Kyushu. When I went out for dinner, I did not go out and find out where to go specifically. There were a few restaurants in front of the hotel. It was very difficult. Then, I happened to go out to the back of the hotel which was the old town of Saga Castle. It took me an hour to choose and go inside the first restaurant. I go very quickly without a destination. Q: Are you having trouble making decisions like Goro? A: (Laughs) We're similar. If you eat too much in one restaurant, it's difficult to go to the next restaurant. So you are torn between eating more or going elsewhere. Nowadays, there is a tendency to go to restaurants all over the internet. I see what kind of menu there is and how to evaluate the food. After recognizing the food in advance, I remember it in my head. I don't write it down, I just use my memory. I go to the restaurant with a tremendous feeling that I would like to go there. It's important to discover with your feet, eyes, and feelings. Q: Was there a case that failed? A: There were cases like that, but most of them were delicious. So far I have covered them this way for 20 to 30 years. Several failures in the meantime had helped me in a way. (...) But I am not always in a "gourmet mode". I don't overthink it when I go looking for it, because I'd go to a restaurant alone when I was hungry or when the manga deadline was approaching. Q: What are the characteristics of Japanese food culture? A: There is a feature in our culture that openly accepts and transforms other cultures' food. In Japan, there are dishes that are created by adding the taste of Japan to the foods of India, China, France, and Korea, while preserving the original taste of the countries. There is a strong desire among Japanese people to taste these various foods. I heard something from a foreigner. He said, "In Japan, even the poorest students had tableware that they use to eat, like spoons, chopsticks, knives, Chinese bowls, western utensils from other countries." I read it as a token of our determination to eat food from various cultures at any time. It's safe to say that Japanese have a curiosity for it. Thank you so much for sharing the drama notes, It helps me a lot to know more.Enjoying the series at the same time learning many things about Japan esp foods and places.